A few days before that, police investigated the burning of several Qurans outside a local Mosque. And in February, an Arab-American man won more than $1 million dollars in a lawsuit over the religious and racial harassment he said he suffered at work. 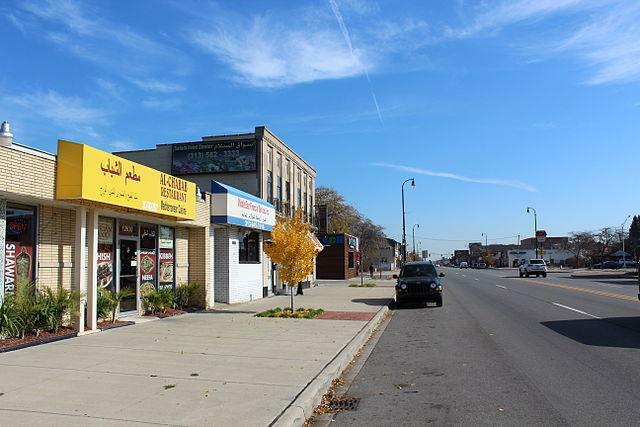 So, not a great year if you want to believe that Arab-American prejudice is something the metro Detroit community has just progressed beyond, what with having one of the largest Arab communities in the nation. It's because of both the population and the prejudice that "Take on Hate" is rolling out its national campaign here on Monday. So far the campaign itself is a little vague. "TAKE ON HATE aims to achieve meaningful social change not only through public education, media and coalition building, but also by providing a platform for Arab Americans to speak up and inspire real policy change that challenges institutional discrimination and protects the rights of our communities. "...strategic partnerships, earned and paid media, grassroots events and meetings with policymakers." Nadia Tonova is the director of the National Network of Arab American Communities, which is heading the campaign. She says in Michigan, you could see everything from billboards and ads, to heritage and cultural events like movie screenings and community dinners, to teacher training guides sent out to classrooms in communities where Arab-American families are moving. "So we're looking to target very specific communities which might have changing demographics, where Arabs and Muslims may be new to the community. And start right there with the children, who can pass that on to everyone in their home." "Like Macomb County, for example," she says. "We have a great opportunity to get training guides for teachers about how to talk about Arabs and Muslims and who we are. "So that the kid are learning about their new classmates and parents are learning about their new neighbors." But "Take on Hate" will also carry a big stick on the political scene, says Tonova. "This campaign allows for the opportunity call out hate when we see it. So for example, if we have a situation where a political candidate has said something egregious about Arabs or Muslim Americans, this campaign is going to stand up and push back and call it out. "And I think it's so important for our community to have that infrastructure, because right now, especially on the national level, we have seen a number of times when ... different people have said some really terrible things about our community, and there is ... no one really able to have the grassroots support to stand up against that and say that it's wrong." Tonovoa says the campaign is hoping to raise $4.5 million over the next three years. The festival has been canceled for the second year in a row due to higher liability insurance costs for festival organizers. The three-day festival in Dearborn celebrated Arab culture and was one the largest gatherings of Arab Americans in the U.S., but it also attracted anti-Islamic protestors and Christian missionaries from around the country. Tensions at the festival broke out in 2010 when a group of Christian missionaries arrived with video cameras to record their attempts to debate Muslims. Some were arrested for disturbing the peace, though later acquitted of most charges. Their arrests drew outrage from conservatives across the U.S.
Another Christian group filed a lawsuit against the city, saying the missionaries were restricted in where they could distribute their literature. In 2012, a separate group of Christians brought a pig’s head mounted on a pole with anti-Islam signs, resulting in some youth hurling bottles at them. Warikoo reports that Dearborn was forced to pay $300,000 to the Christian missionaries arrested in 2010. The Arab-American Chamber of Commerce says they’re still looking for ways to move forward with the festival. A new festival will feature comedians from Arab-American and other minority backgrounds. The 1001 Laughs Dearborn Comedy Festival happens September 27 and 28 at the Arab American National Museum in Dearborn. Amer Zahr is the festival's producer and he'll also be performing a few sets.